Kiss is hoping to be on your lips and in your stomachs, Overland Parktonians. Rock & Brews, a beer-garden concept from Kiss' Paul Stanley and Gene Simmons, is opening in the Prairiefire development (135th Street between Nall and Lamar) in early 2014. The outdoor patio "captures the excitement of your favorite classic rock concert performances in a family friendly environment." It's like really jamming out on your Discman while getting behind the wheels of a well-made push mower. Rock & Brews will be dishing up Steak Rattle & Roll sandwiches, Purple Rain Chocolate Drops and Surfin' Safari Shrimp Pesto Pizza. The bandmates, who are still touring, have big plans for the franchise, intending to open 100 restaurants in the next five years. In the past 15 months, they've opened the first three locations (although an additional four are in various stages of construction). 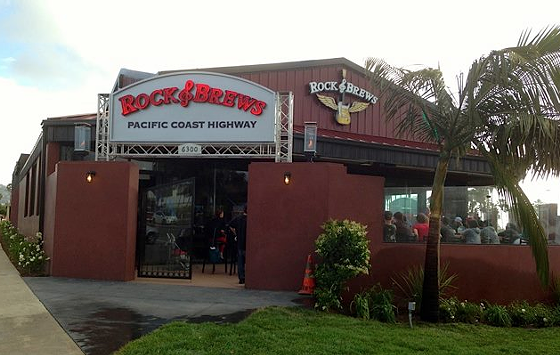 The Rock & Brews bar in Kansas will be the first outside Hawaii or California.